Dean Morse is Professor Emeritus and was previously Professor of Law, at the University of Ottawa where he served in the past as Vice-Dean and Director of Graduate Studies, among a variety of other administrative duties since joining the Faculty in 1976. He has taught a wide variety of courses concerning Canadian and comparative Indigenous law issues, as well as labour law, trusts, property and civil liberties among others. His career includes appointments as Executive Director of the Native Legal Task Force of British Columbia (1974-75); Research Director of the Aboriginal Justice Inquiry of Manitoba (1988-91); and Chief of Staff to the Hon. Ronald A. Irwin, Canadian Minister of Indian Affairs and Northern Development (1993-1996). He has served as legal advisor to many First Nations in Canada as well as national and regional Aboriginal organizations since 1974 in a broad range of constitutional, land claim, governance, economic and treaty issues. He was General Counsel to the Native Council of Canada from 1984-93 during which time he was directly involved in the First Ministers Constitutional Conference Process (1984-87), Meech Lake Accord Constitutional proposals (1987-90) and Charlottetown Constitutional Accord proposals (1990-92). He was previously advising the Association of Iroquois and Allied Indians during the development of the Canadian Constitution, Act 1982 (1979-82). Dean Morse has been a consultant to various royal commissions, government departments and Indigenous peoples' organisations in Canada, Australia and New Zealand (including the Royal Commission on Aboriginal Peoples, the Australian Law Reform Commission and Waitangi Tribunal) and as a Chief Federal Negotiator on several land claims and treaty issues in Canada. 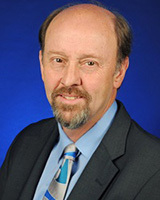 Dean Morse has been a visiting scholar to a number of law schools over his career including the Universities of New South Wales, Melbourne, Queensland, Monash, Hong Kong, and Victoria University of Wellington as well as Senior Fulbright Scholar at the Native American Legal Research Center at Oklahoma City University. He has authored over 100 articles, books, book chapters and commission reports.